Using embroidery to enhance the beauty and appeal of attire is a tradition that has been followed in India since the ancient times. While earlier, the ladies of the house were expected to learn this skill from their mothers and grandmothers, over the past century, the craft developed into an industry helping skilled artisans to earn their bread and butter. Given the cultural diversity of India, it is not surprising that there are several different traditional embroidery trends followed across the length and breadth of this vast nation. These styles differ not only in terms of the complexity of the designs but also the materials used for creating the designs. Some of the most popular styles of embroidery followed in India are discussed below. 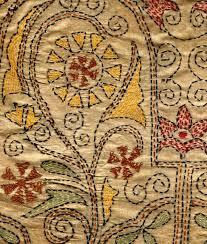 Zardozi Work: This is perhaps the most expensive style of embroidery as it is done using threads made of gold and silver. Even though this style of embroidery originated in Persia, it has been practiced by Indian artisans for centuries, after it was introduce in the country by the Mughals. 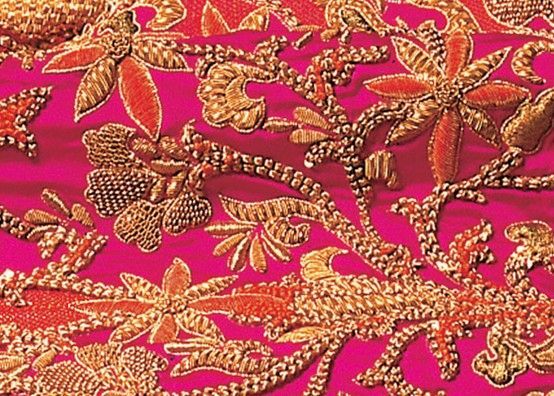 For a long time, Zardozi embroidery was used only for decorating the dresses of members of the royal families or extremely rich individuals. It is only in the past half century or so that this form of embroidery has reached the common people. Banni and Rabri Embroidery: The Banni style of embroidery is mostly practiced by a special group of artisans in Gujarat known as the Lohana Community, while the Rabri embroidery is practiced by the Rabri Community. 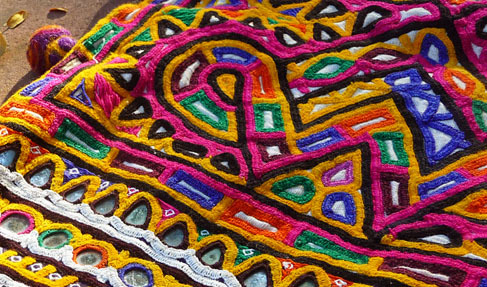 The embroidery is renowned for its rich and vibrant colors and designs inspired by architecture. This style mainly features miniature designs, interspersed with mirrors of different shapes and sizes to provide an exclusive look, which in turn makes this embroidery one of the most amazing and distinct forms of this art. Kashmiri Embroidery: This is yet another popular form of embroidery practiced by artisans in Kashmir. This embroidery is famous for its unique colors, design, texture and technique and is generally carried out on white, off-white or cream colored fabrics made from silk, wool or cotton. This style generally features the images of birds, fruits, flowers and creepers and is known locally by the name of Kashida embroidery. 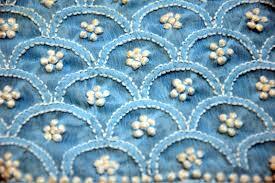 Chikankari Embroidery: This style of embroidery is predominantly practiced in Uttar Pradesh and especially Lucknow. The style was originally created by elegant patterns in white thread on a base fabric made of muslin. However, with the changing times, this embroidery is now also done on a variety of other fabrics including cotton, linen nylon, and georgette, chiffon and synthetic, even though no other color than white is used for embroidery thread. Kantha Embroidery: This is the traditional form of embroidery practiced in West Bengal and is created with a running style of stitch. It is also famous by the name of Doruka as it was originally used to stitch together piles of worn out silk or muslin clothes. It is used not only for decoration of clothing but other items of household furnishings and accessories.